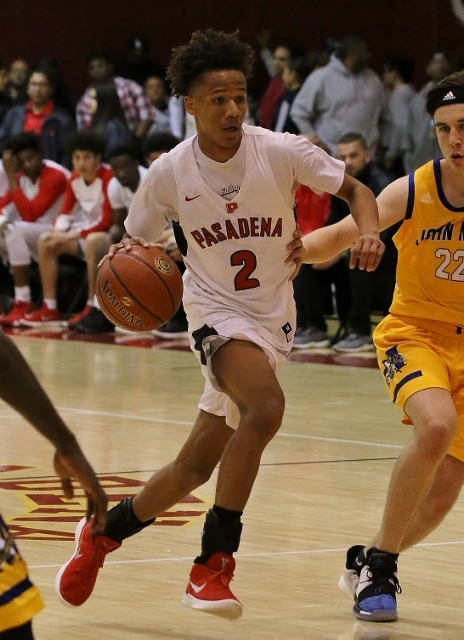 (Pasadena) – Pasadena used a 17-0 run in the first half to turn a seven point deficit into a ten point lead and went on to rout Muir 61-39 Friday night at Pasadena City College. Muir started the game on a 9-2 run but Pasadena scored the final 11 points of the first quarter to go up 13-9 after one. The Bulldogs then scored the first six points of the second quarter for 17 straight to lead 19-9. They led 31-18 by halftime and put it away in the third quarter extending it to 18. 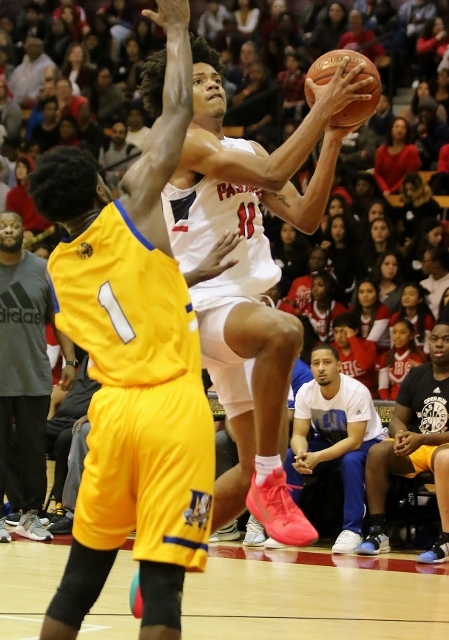 Javon Jones led the Dogs with 15 and Darius Mason-Robertson added 13 including a couple of jams. Pasadena had four players in double figures overall as Davian Brown rattled home four shots from long distance for 12 points and Lafayette Sanders operating down on the low post scored 10. Javon Jones led the Bulldogs in the win over Muir. The Bulldogs biggest quarter was the second as they outscored the Mustangs 18-9. Brown buried two from beyond the arc for six points and Mason-Robertson soared to the rim for six as well in the period. Muir did not have a single player in double figures. Assad Muhammad led the team with 9 points and Joseph Dollaway had 8. Neal Carter and Ethan Fleming each added 6. After the early start the Stangs lost the momentum and were never able to get it back. With the victory Pasadena swept the Rose City Classic. The Bulldogs also beat Muir 68-39 on January 12th. Pasadena finished perfect in the Pacific League going 14-0 and 21-6 overall. Now they await their first round playoff opponent. Muir finished third in the Pacific at 9-5 and 14-12 overall. The Stangs are expected to make the playoffs as well.